Today is a good day to be a beer geek. Let me back up a bit. I know the gadget at the bottom of the page says I'm supposed to be talking about New Glarus' Octoberfest offering right now. I'll get around to that soon (hopefully sometime this week). But, I felt I should put that off because something came up. What was the something? 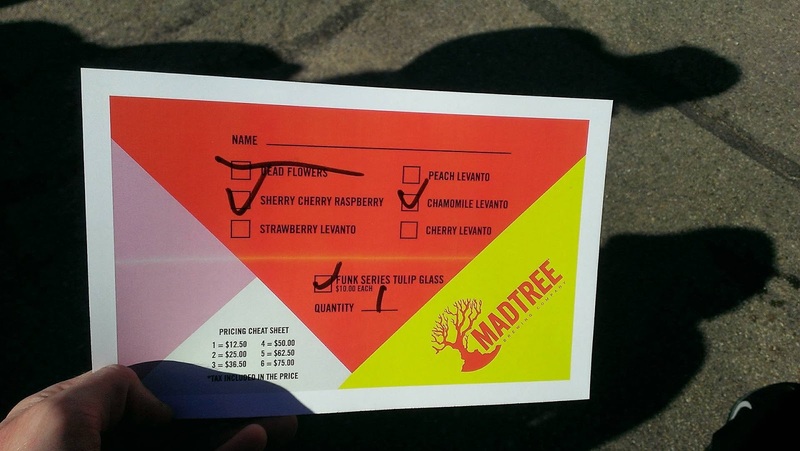 The release of MadTree's 2016 Funk Series at the Funk Day 2016 event. This is an experience that began this morning and is now over. Luckily, I got to check it out and I'm writing this now to share it with you. You'll note that this isn't you standard John Likes Beer post--Purrl is absent from it and I'm drinking beer out of a glass. Like I said, I'll get back on track with my typical reviews soon enough. But, I try to be timely when I can. And this post is, if nothing else, timely. MadTree's Funk Series is a line of barrel aged sour ales. Bottles of these were a taproom-only release. Once I saw on Funk Day's Facebook page that the beer was coming out on a Sunday (the one day a week I am guaranteed to have off), I knew I had to go. I woke up at 8 o'clock this morning. 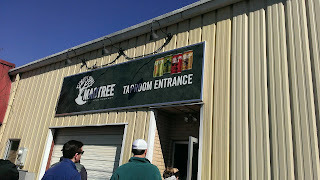 I brewed some coffee, took a shower, fed the cats, and hopped in my car to drive to MadTree. I knew that Funk Day wouldn't actually begin until 10, but I still wanted to get there early due to how limited the amount of bottles would be. The lot was packed when I arrived. By the time I found a parking spot it was already 9 o'clock. 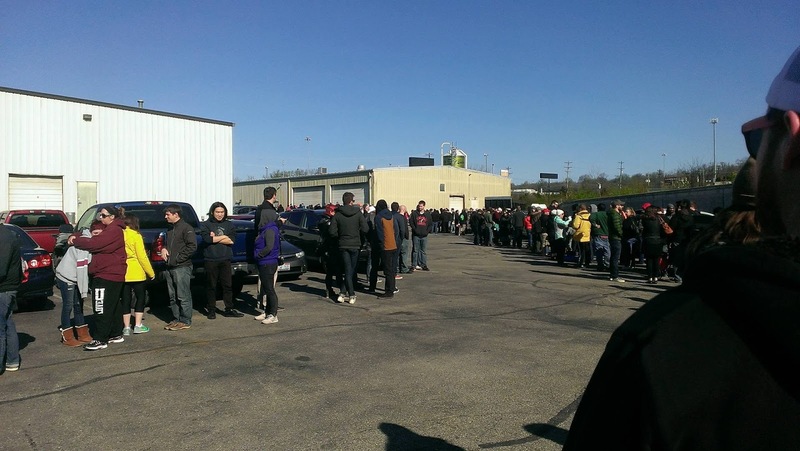 When I saw the line I immediately knew that I wouldn't be able to get the beer I came for. But, I thought my chances of snagging some of the other offerings were pretty good so I took my place at the back of it. This is where I was about halfway through my wait. The beer I had come for was the Bourbon Barrel Aged Dead Flowers. This is a 9% ABV behemoth of a strong ale that was brewed with chamomile and elderflower. At a bottle allotment of 120, I knew my chances of getting one was pretty slim. And I was right--it quickly ran out. However the other five Funk Series beers had allotments of 432 each. 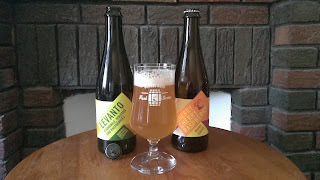 Since there were plenty of those left by the time I got to place my order, I snagged two: the Chamomile Levanto (4.9% ABV ale brewed with chamomile, hibiscus, and raspberries and aged in white wine barrels) and the Sherry Cherry Raspberry (6.1% ABV ale brewed in sherry barrels with cherries and raspberries added). I would've gone the other three but, at $12.50 a bottle, my wallet couldn't take it. I did, however, splurge and buy a $10 Funk Series tulip glass. At 11:40 I was back in my car. This was my order card. You can see that, by the time I got to say what I wanted, Dead Flowers was gone. 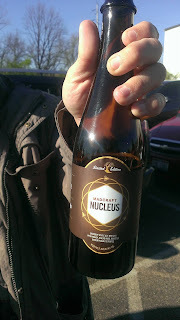 While I was in line, I got to try MadCraft Nucleus. This is a soon-to-be released collaboration brew from MadTree and Crafted Artisan Brewery. MadCraft Nucleus is a braggot style ale (beer sans hops) that contains honey, cocao, chicory, and fig. From the swig or so I had, I could tell the ale would be one of my favorites. When it's released, I'll see if I can track down a bottle to give it a full review. Right now, I'm drinking a glass of Chamomile Levanto. It's aroma is sour first and foremost, but there's a trace of chamomile and hibiscus to be found. The taste closely mimics the nose: sour (but not overwhelming) with a sweetness from the chamomile and raspberries. The hibiscus is found in the finish. The ale is a cloudy hay-colored affair that has a light mouthfeel. In short, this beer is fantastic. 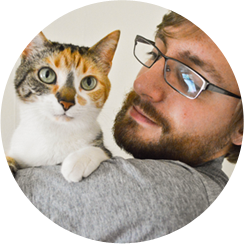 I'm sorry there's no Purrl in this post. I'm also sorry I didn't give the Chamomile Levanto the full review treatment--the Sherry Cherry Raspberry won't get one either. 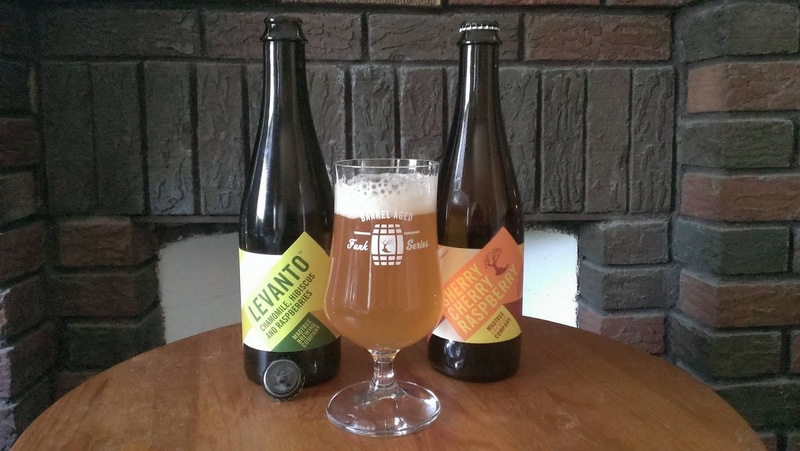 Because of the limitedness of these beers, I thought it best of they remained somewhat ephemeral on the blog (you'll be able to find both on my Untappd, though). If you didn't get to make it to Funk Day today, you should really shoot to go to the next one MadTree hosts. Waiting in line with fellow beer geeks and trying an unreleased beer was an absolute blast. And I can honestly say that the Funk Series beers (or, at least, the one I'm drinking right now) were worth the price and the wait. 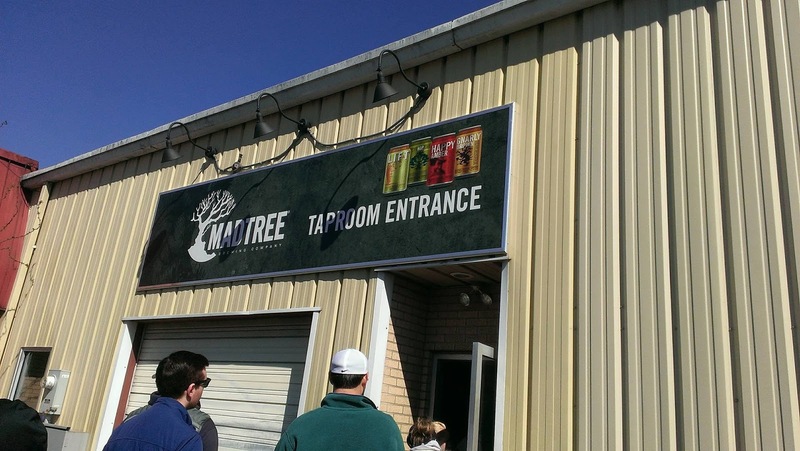 MadTree has yet to disappoint.